This demonstrator investigates how abstract music representation systems and semantic web technologies can be used to create various types of dynamic, adaptive, and interactive musical experiences. 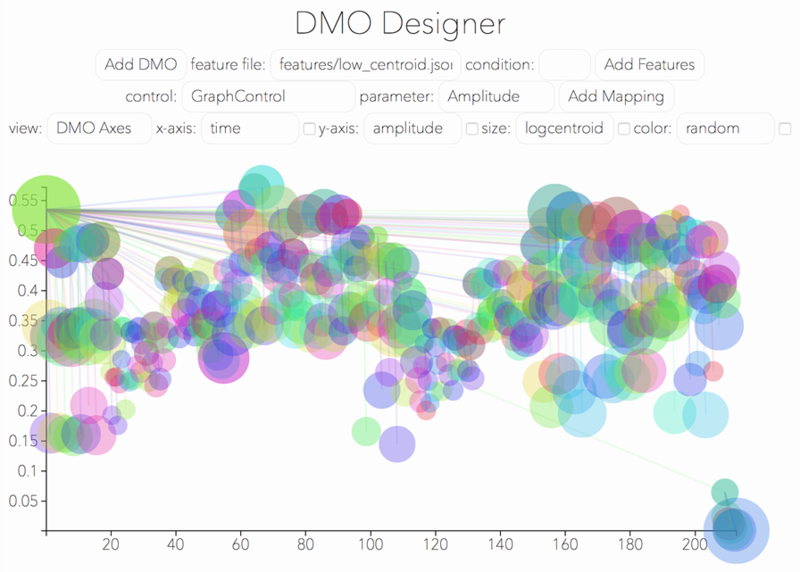 Dynamic Music Objects (Dymos) are defined as multi-hierarchical structures relating audio files and their analytical and semantic content and providing information about how they can be rendered by a player. The Semantic Music Player is a cross-platform web and mobile app built with the Web Audio API, Ionic, and Semantic Web Technologies. With it we explore new ways of playing back music on mobile devices, particularly indeterministic, context-dependent, and interactive ways. The player is based on Dynamic Music Objects, a format that represents musical content and structure in an abstract, multi-hierarchical, and semantically annotated way and makes it modifiable within definable constraints. For each Dynamic Music Object, the Semantic Music Player generates a custom graphical interface and enables appropriate user interface controls and mobile sensors based on its requirements. When the object is played back, the player takes spontaneous decisions based on the given structural information and the analytical data and reacts to sensor and user interface inputs. The core of the player consists of an observable graph store the relationships within which are maintained by a logic constraint solver.